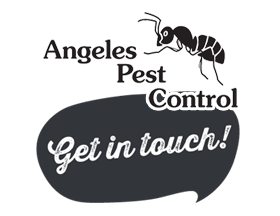 We have been owners of Angeles Pest Control since we purchased the company from the original owners Red and Jan Butler in 1992. Our goal is to control your insects with as minimal amount of chemical that is necessary. The reason why is because it is safer for you and your family, us and our environment. Let me introduce you to our company. Guy, Shirley and Joel Richardson are the owners and operators. Our technicians are Sean Miller who joined us in 2015 and Connan Littleton in 2017. Sean and Connan have been great additions to our company. You will see them when servicing your homes on our maintenance program. Our daughter, Shauna Wilhelm, is now our Social Media Specialist. She is far more adept at the Social Media world than I am. As is the case for all pest control operators, we and all of our employees are licensed by the Washington State Department of Agriculture (WSDA). We also attend continuing education classes hosted by WSDA to keep abreast of what is happening in the pest control industry. We have been members of the Washington State Pest Management Association (WSPMA) and the National Pest Management Association (NPMA) since 1992.